You all know that Thai people eat rice as a main dish, we have a lot of rice dishes. Did you know that we also eat rice from the bamboo? My parents came to visit me and they bought me Khao Lam (ข้าวหลาม: kâao lăam) which is actually a Thai dessert. 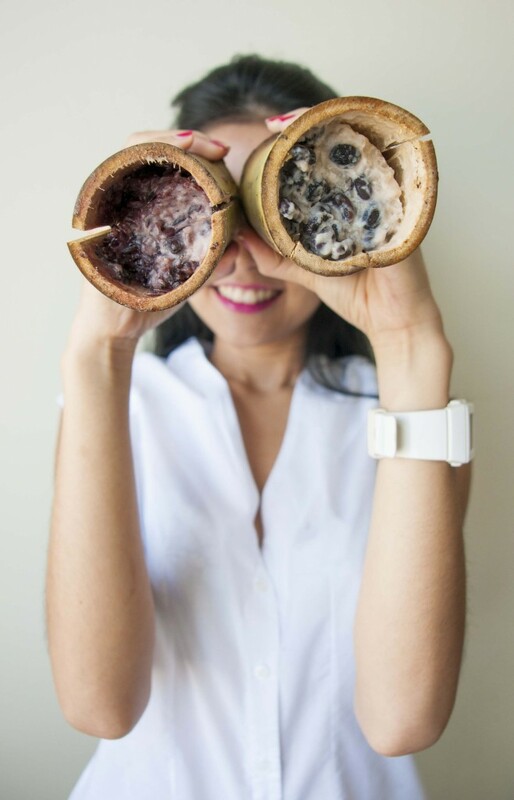 Khao Lam is sticky rice mixed with coconut milk and black beans with a little bit of sugar and salt squished inside and then roasted over open fire. 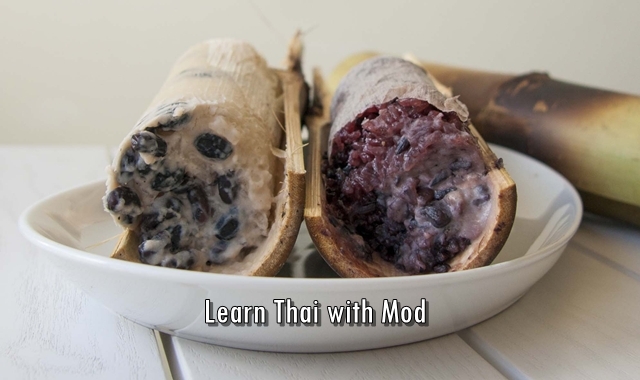 There are two types of Khao Lam :  White sticky rice (ข้าวหลามข้าวเหนียวขาว :kâao lăam kâao nĭao kăao) ,  Black sticky rice (ข้าวหลามข้าวเหนียวดำ : kâao lăam kâao nĭao dam). I think they both taste the same. i found it quit cheap in thailand if one can cost only 35 baht which may means around rm 3.50 only. 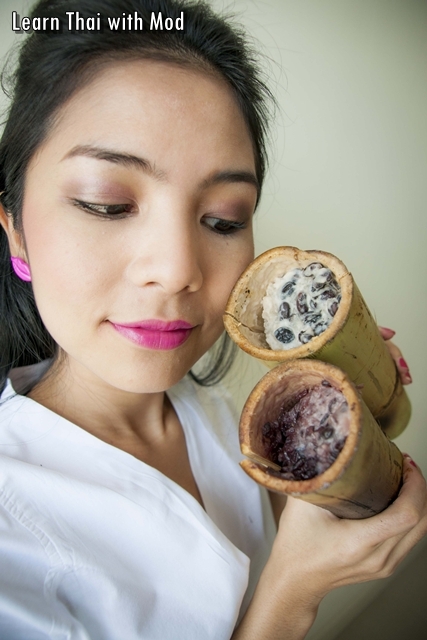 lemang in malaysia can cost rm 12 which means 120 baht per each. so much in price dif..